Investigations are ongoing into the deadly exchange of gunfire which claimed the life of Lionel Rhamdas. In that shooting, at least three firearms were involved and police had initially recovered only one, a nine millimeter handgun that was on the ground beside the body of Rhamdas. 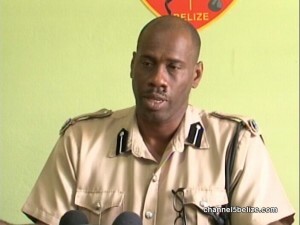 Assistant Commissioner of Police and Rural Eastern Division Commander Edward Broaster says that his officers have recovered another firearm believed to have been used in the commission of the crime. It is not known, however, whether the recently discovered waepon fired the deadly bullets at Rhamdas. Will the P.U.P. Reach the Sarstoon on Saturday?